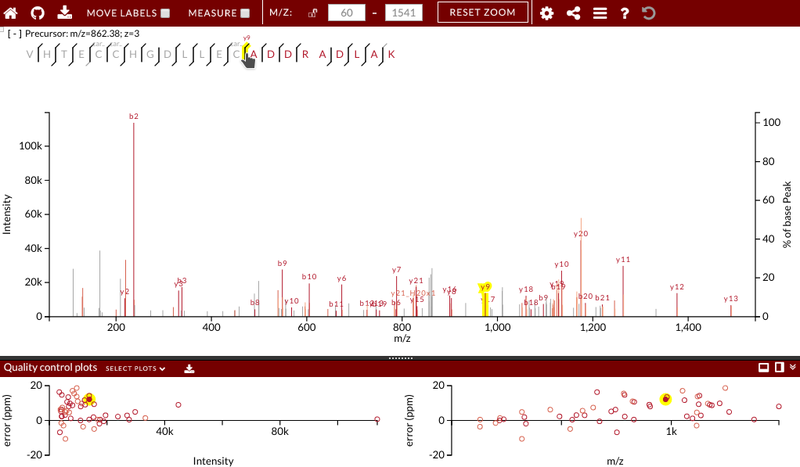 xiSPEC is an interactive tool for visualizing and analyzing mass spectrometry data. 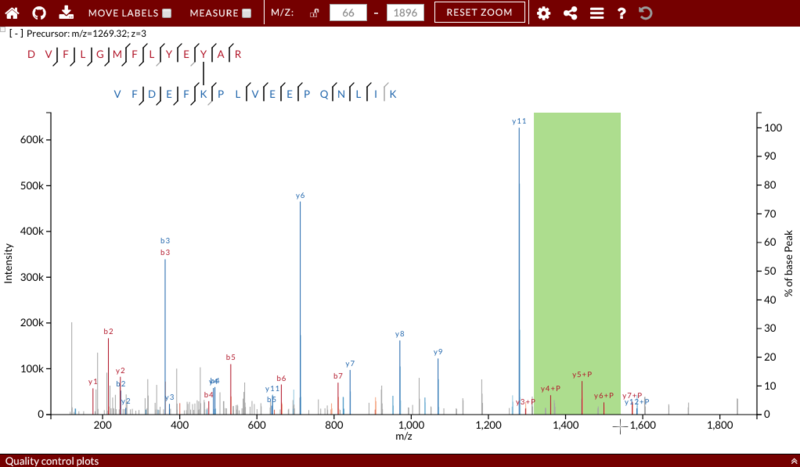 Analyse mass spectra intuitively and test hypotheses. 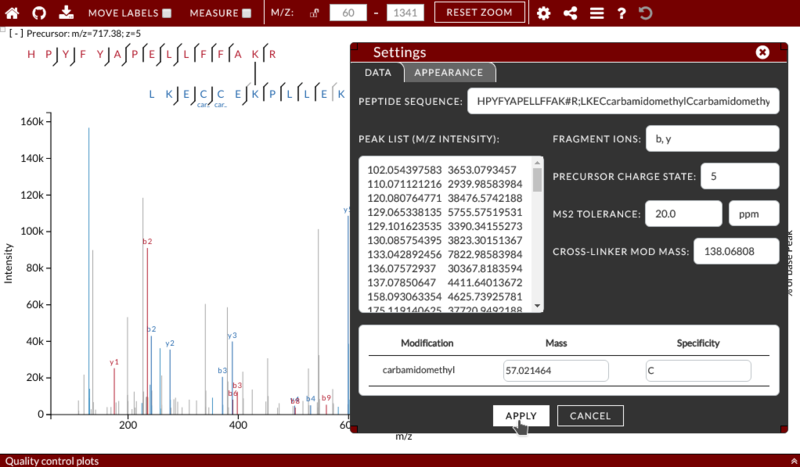 Upload and share whole MS datasets. 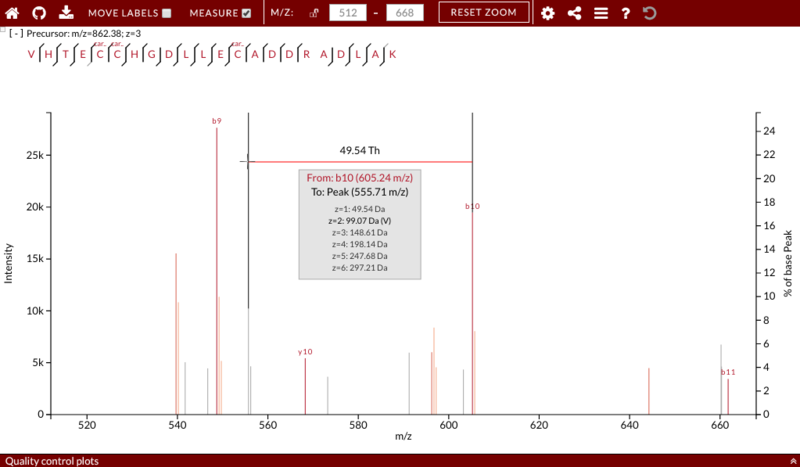 Download annotated spectra in publication quality (vector graphic). xiSPEC is an open source project on GitHub. Report issues and request features here.